At the University of Arizona's Richard F. Caris Mirror Laboratory, our scientists, engineers and technicians have developed innovations in constructing large lightweight mirrors with unprecedented surface accuracy. 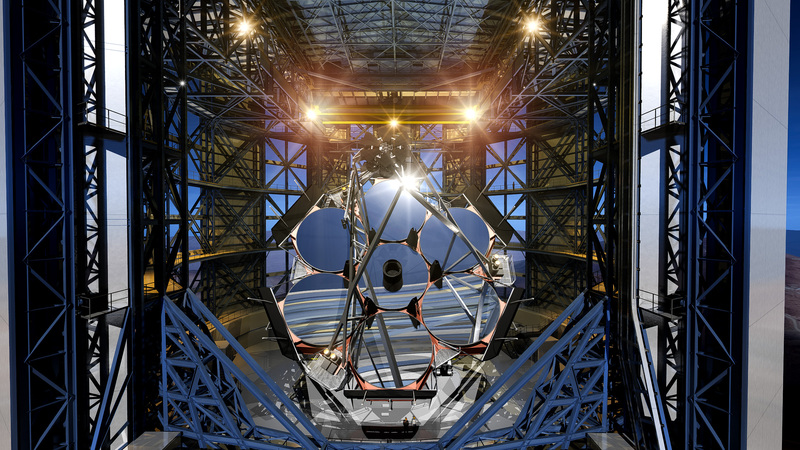 These mirrors represent a radical departure from the conventional solid-glass mirrors used in the past, producing a new generation of telescopes now exploring the universe in optical and infrared light. They have a honeycomb structure on the inside; made out of Ohara E-6 low expansion glass which is molded by melting it into a honeycomb interior while spin casting in a custom-designed rotating oven. Honeycomb mirrors offer the advantages of their solid counterparts - rigidity and stability - but they can be significantly larger, and dramatically lighter.